This week will kick off the start of the official Holiday Gift Giving Season. Shopping Independent Stores has become more important to me than ever since I started my own business in 2009. I love exploring small boutiques that carry one of a kind items, I drink coffee from independent shops vs big chains and I shop the local farmers markets as much as possible. I am known to be on a first name basis with the owners/shop workers because I frequent the same places. American Express has named this Saturday, Small Business Saturday and I wanted to share some of my personal favorites. When it comes to putting gifts under the tree or exchanging with friends, I encourage you all to shop small this holiday season. I am including the stories and faces behind the brands below because these people are incredibly talented! They deserve to be recognized just as much as the products they sell. Square Modern was created by Suzanne Flenard, a former New Yorker and interiors professional, now residing in Paris. The idea came about as an interest to introduce the European Community to modern textile designs popular in the United States. The collection is manufactured in Paris and comprised primarily of reclaimed fabric remnants, often found in limited supply. Therefore, the collection is produced in limited quantity and will continuously change as interesting textiles become available. Suzanne and I have gotten to know each other over the years as I travel back and forth to Paris and I am so proud to call her a friend. I originally posted about the Shop Small blog post on Instagram a while back. I asked for readers to write in if they were a small business or knew of one to be featured in the upcoming post. Joan of On Paper wrote me right away with the sweetest message and came up with the idea to collaborate on a project. I am originally from Cincinnati and I was so happy for the opportunity to work with and feature another small business from Ohio. Joan and I worked to create these beautiful thank you notes for my photography shop. I send out notes with each order and have been wanting to do a holiday card for years. The process was easy and Joan was so fun to work with. I can’t wait to send out these holiday cards! Not only does On Paper do custom design work, they also carry great gift giving items including journals, soaps, and perfumes. Joan Schnee began her retail career in NYC as a display assistant for Macy’s Herald Square, which launched a 20 year career in Visual Merchandising. She moved to Columbus, Ohio to work for Limited Brands Store Planning where she worked on re-branding store interiors and visual merchandising programs for several billion dollar divisions. 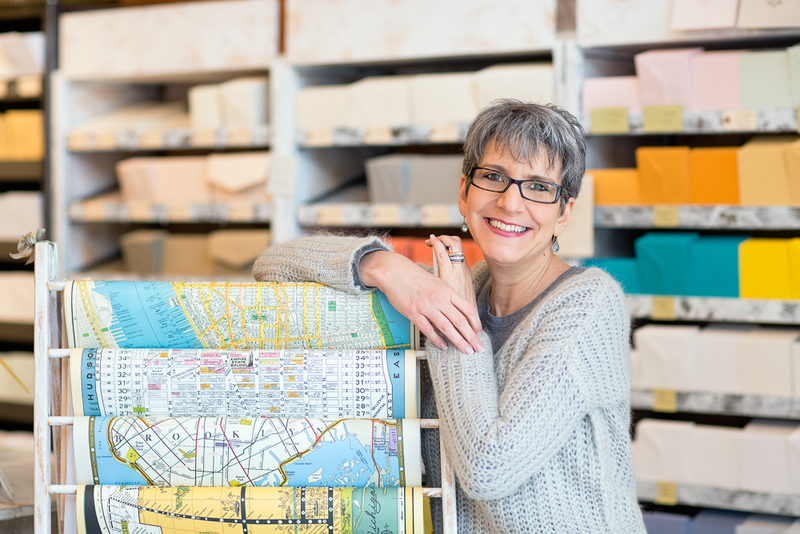 In 1997, Joan fulfilled her retail dream and turned her life long love of paper making and paper craft into a business. She opened up her own boutique, On Paper, which has been operating continuously in it’s Short North location ever since. On Paper specializes in wedding invitations as well as offering a carefully curated collection of vintage inspired gifts, jewelry, fragrances, and of course, paper products. On Paper has received numerous awards, including The Knot Best of Weddings Hall of Fame and most recently, Joan was the recipient of the 2018 Short North Business Beacon Award, presented to the city of Columbus. I love this company for a few reasons. I have tested out their product twice now and I think hands down it is the best flower delivery service I have ever experienced. How often have you received delivery flowers and they fall short of expectations? This brand goes above and beyond! The flowers are full and vibrant right out of the package and there is plenty of water to keep them happy even if you don’t get to them immediately upon delivery. They are available for delivery in NYC and Chicago. 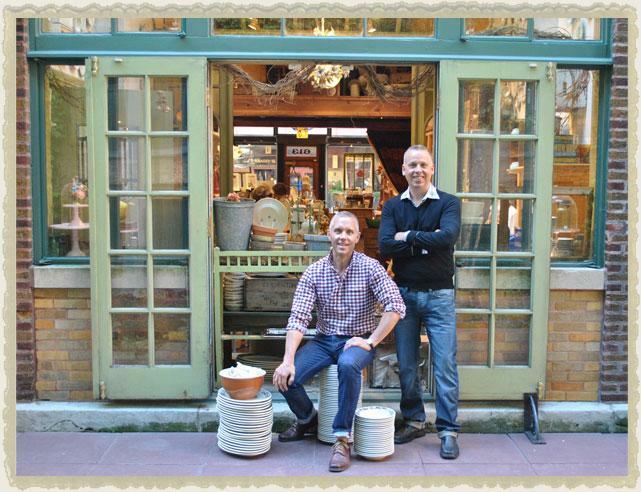 Olivier and Louis, the founders of Ode à la Rose, spent their formative years in Paris. And, while they like to consider themselves smooth, they accepted early on that even they needed help with their game sometimes. They often turned to roses when words weren't quite enough. But then, they moved to New York City, where they soon found out - the hard way - that roses didn't have the same clout they seemed to have in Paris. Why? Because no matter how hard they tried, they couldn't find quality, breathtaking arrangements. They tried the Internet. No luck. Local florists. Nothing. Markets. Nope. Plenty of tacky arrangements, cheap packaging and high price tags-- not the elegant beauty of rose bouquets they were accustomed to finding just about anywhere in Paris. They realized that if they couldn't find what they were looking for, neither could anyone else. So they took action and created Ode à la Rose. True to its name, the company started with a simple collection of premium rose bouquets. Knowing that beautiful packaging is almost as important as the gift inside, they worked to design signature packaging that looks great but provides excellent protection and hydration for the flowers inside. As the company has grown, Olivier and Louis brought the same philosophy to a variety of new types and styles of bouquets, including seasonal arrangements filled with assorted blooms, and products like the French Rose de Jardin candle hand-poured in Grasse. Above all else, Olivier and Louis strive to provide the best possible flower delivery experience for customers and recipients since they know how compelling a beautiful bouquet of flowers can be. Jamie Kim is an entrepreneur and content creator. She currently studies hotel administration at Cornell University and began her granola business Bumble and Butter as a sophomore. Since then, she has been selling her granola on her online site, on Amazon Prime, and fifteen retail locations including Whole Foods Market in Albany. She is largely inspired by her experience working for one of the world's best restaurants, Eleven Madison Park in New York City. On the side, she also creates social media content for a minimalist notebook company. Yes, it sounds as good as it sounds or maybe even better. I first met Jamie this Summer while we bonded over our love for Paris and chocolate at the Vosges Haut-Chocolat office. Jamie is in college and owns her own business making her own granola. It is highly addicting and so good! She is pretty fabulous and she hasn’t even graduated yet. My favorite flavors of the granola include the rosemary and zante currants and the sweet potato holiday flavor. I add the rosemary granola to my yogurt or snack on it and the sweet potato granola has been added to salmon and salads. I have the truffle granola but I am waiting for Thanksgiving mashed potatoes. 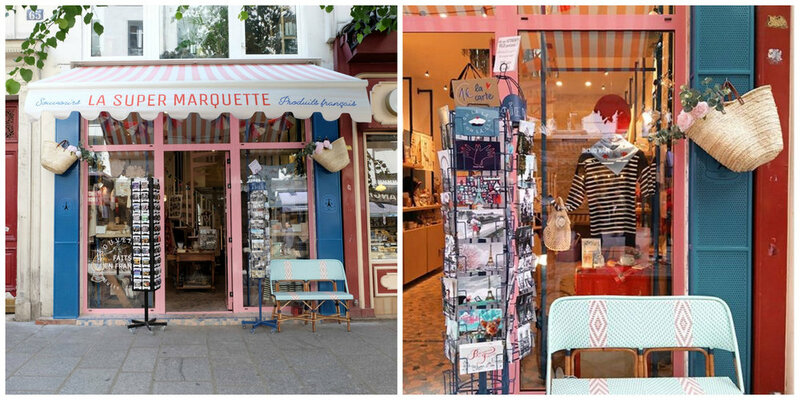 La Super Marquette is a cool souvenir shop in Paris, located on the Rambuteau street, just between les Halles and the Centre Pompidou. What’s cool about it then? Well, everything here is made in France. I travel and find a mix of very traditional French products : breton tops, berets, bistro cups, Marseille soap (and for these I get the best of the best, often Entreprises du Patrimoine Vivant, and always renowned for the quality and durability of their products) and more modern brands, offering a new take on French products : cool leather bags made by designer Aurelie Chadaine, colorful and fun socks from Bonne Maison - knitted in Lyon, a handful of great guidebooks and souvenir scarves drawn by French illustrators Marie Doazan and Thomas Rouzières. In my 22 square meters shop, I try to bring anything a curious tourist could want to bring back. Authentic, well-made, responsible French stuff, presented in a cute decor : vintage-style bistro mosaic on the floor, old metro map on the wall, and true French girl - smily, sometimes grumpy, sometimes late, but always happy to help - behind the counter. Born and raised in the south of France, both Zoé and Bertrand are avid gourmet food enthusiasts. Southern France, in particular, imbues a special kind of gourmet fare that emphasizes authenticity, tradition, quality local ingredients, and of course, the richest and most savory flavors. The exclusivity of the foods of this region derive from guarded family recipes often passed down through generations, as is common of the beloved terroir brands from this region. 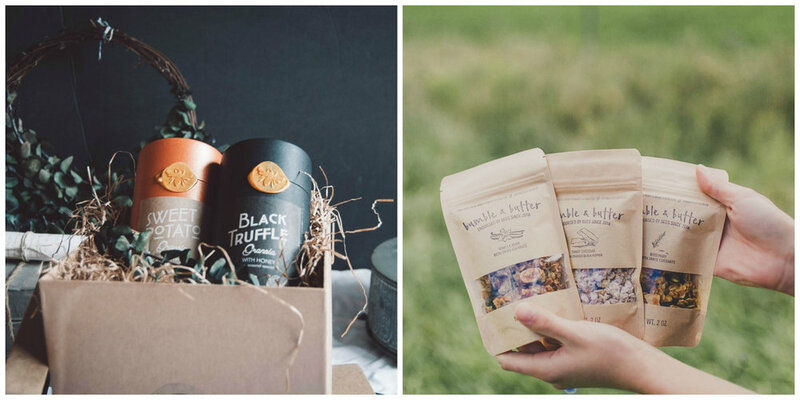 Zoé and Bertrand have carefully chosen their favorite delicacies from the southern French region of Provence to compose the Provence Apéritif Box – a dreamy, French Mediterranean culinary experience. In 1997, P.O.S.H. opened its doors in Chicago, with a desire to offer something unique to the consumer that had grown weary of “sameness”. Our small shop was met with a warm reception as the search for pieces that haven’t been mass-produced for coast–to–coast consumption was shared by many. “At some point in your life, you want something that feels authentic — something that speaks to you.” That thought is what drives P.O.S.H. 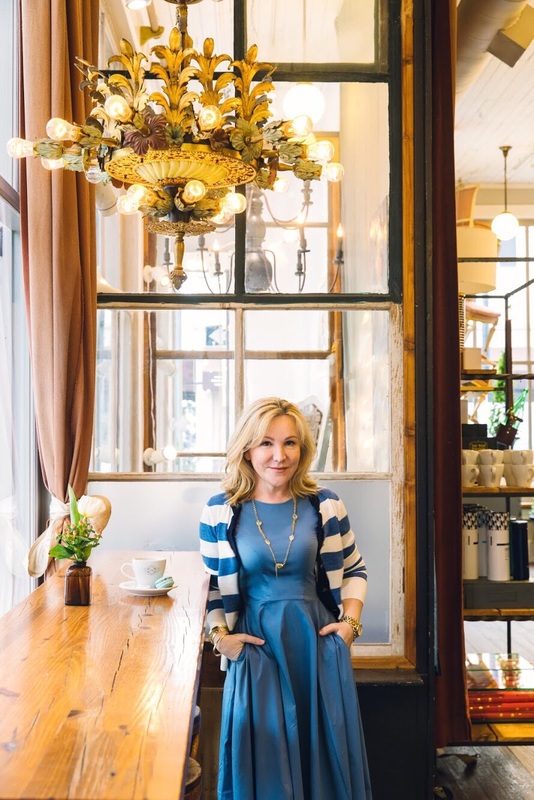 to search high and low for the items that stock its shelves — an eclectic assortment of vintage Hotel and Estate Silver, Restaurant China and Dinnerware and an ever–changing mix of European Flea Market Finds. Found in such disparate places as long–shuttered American china warehouses and restaurant supply depots to the antique markets and auction houses of Europe, the items sold at P.O.S.H. are often one–of–a–kind or limited in quantity. From a vintage silverplate Tea Service once used in an English Country Inn to a beautiful Water Pitcher from a Grand Hotel in New York, most of our pieces tell a romantic story of an age gone by. POSH is just a short walk away from me and I love stopping in her for gifts or just to get lost in the beautiful Parisian memories for a bit. If you in Chicago, I always recommend a visit here. Tell Karl I say hello! You can also shop online. Hi! I’m Tracey! 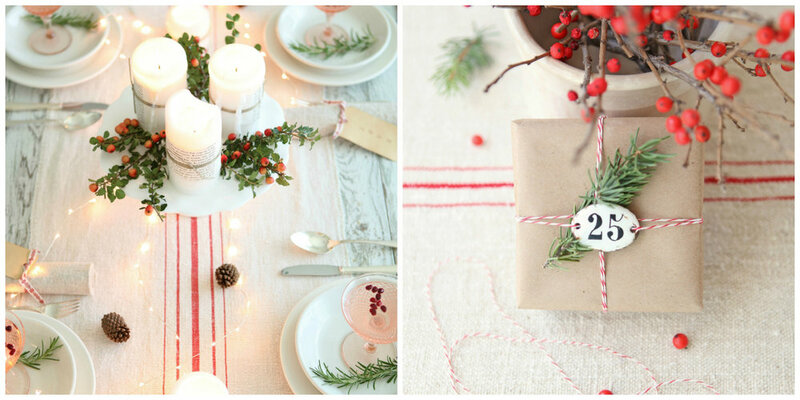 I am a vintage-loving decorator, with a passion for photography. I have traveled to France many times and consider it like a second home. While there, I scour the flea markets and brocante shops for vintage items to bring home for my online shop, thoughtfully hand-selecting each and every item. I only buy items that I truly love and would have in my own home. Helping others create a vintage French home with a well-loved and unique items is my goal. My husband, Steve, and I now offer a small group tours to Provence every Spring and Fall. We enjoy sharing our love of France with others! Let us show you the beautiful villages of Provence and take you along to all of our most loved flea markets and restaurants. There is nothing quite like immersing yourself in the French lifestyle for a week. I met Tracey through Instagram a few years back after seeing her beautiful photographs of France. She lives close by in a Chicago suburb. I have only seen photos of The Paris Market on Instagram but I want to visit the shop in Savanah. My friends Graham and Kat introduced me to The Paris Market a few years ago and I have been wanting to visit ever since. It is a Francophile dream come true. Do you have a favorite independent shop?